No need to be worried about formats, frame rate or file sizes, the functions of Video join, split and cut can be easily achieved by GiliSoft Video Editor. The Video editing software allows you to edit Video files in various formats like AVI, MPEG, H.264, SWF, MOV, WMV, etc. for playback on popular devices like iPod, iPhone, PSP, PS3, and so on. The three processes, Video join, split and cut, can run in background without too much space occupation. 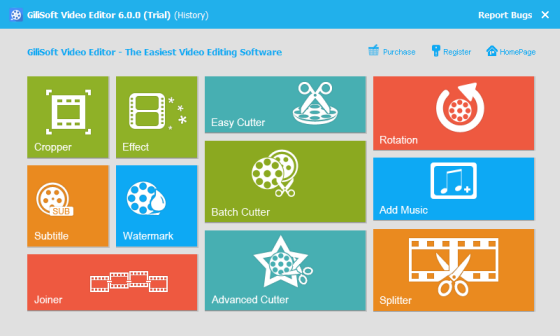 As a Video joiner, splitter and cutter, GiliSoft Video Editor has an intuitive interface and makes it easy to turn original videos into works of art. And also you can watch the Video in the preview window. GiliSoft Video Editor is well worthy of having a try.